Hi I am planning a trip to shetland next year and island hop. Usually, the best time to try and see the aurora is around the spring and autumn equinoxes (March-April or September-October), although I have managed to catch a glimpse of the Northern Lights in December/January too. Hi @Dee I second what @VisitScotlandJoanne said, and I would add winter season, too, which probably offers best conditions for seeing the Aurora in terms of longest nights. Staying up until the wee hours of the morning may also help, but nights need to be cloudless with minimal light pollution, and of course increased solar activity. Because Shetland lies closer to the North Pole than any other part of the British Isles, you've got best chances to see the Northern Lights, but we've been receiving reports from people saying they've seen them as far down as Edinburgh and Dumfries, so it's really all down to Mother Nature and what goes on the Sun where the birth of this phenomenal spectacle takes place. 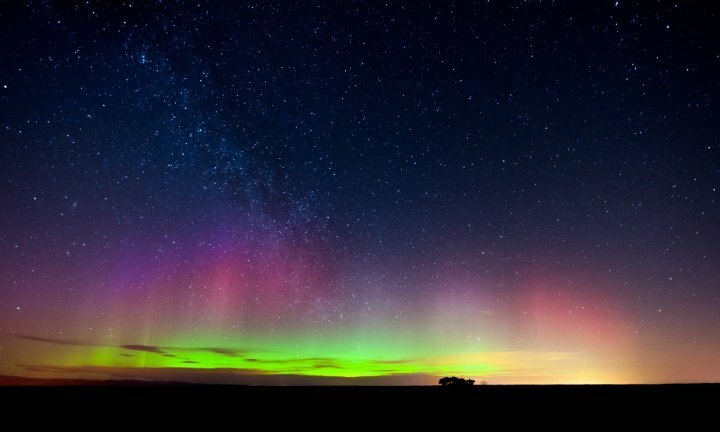 You can find a few more interesting facts and tips on our page on the Northern Lights and on Shetland.org. Oh, here is another tip - nights when it's full moon are not best for watching the Aurora.